As a new mum, you know how hard it is to find time to exercise between working, taking care of the house and of course spending time with your new born. Simplybepilates® is offering you a way to stay healthy in mind and body during your first year being a mum without having to think about childcare or having to “fit your workout in”. 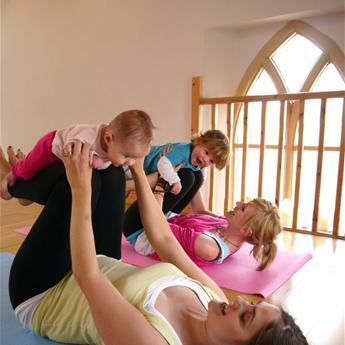 A Mums and Tots Pilates Class allows the mums to workout with her child, incorporating the child into a classic Mat Pilates workout. The benefits of a Mum and baby Pilate’s class. A Pilates Mum and baby class permits new mums can get back into shape, feel stronger and more confident while bonding with their babies in a social and safe environment. The class is suitable for mums with “non-walkers” and are taught in English. For information regarding the centre contact us here.